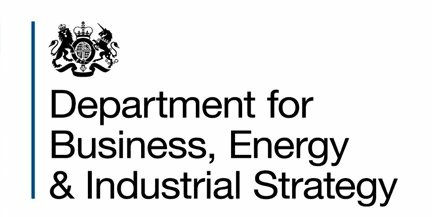 member states to have a system for comparing the energy performance of buildings in place by 4th January 2009 or fines will be imposed, so there is no further scope for the Government to delay the introduction of commercial EPC’s. The Commercial Energy Assessor splits the building into zones according to the type of activity, heating, cooling, ventilation and lighting in each zone. A single room might contain multiple zones. The floor area, wall, ceiling/roof and glazed areas for each zone must then be calculated. The Commercial Energy Assessor then needs to determine the construction of the building and zone envelopes and may need to calculate U Values (the amount of heat that can pass through the material) and Cm Values (how much heat the material can hold). The Commercial Energy Assessor needs to find out as much information as possible on the heating, cooling and ventilation systems in addition to the lighting, glazing and water heating. Once all the information has been obtained to the Commercial Energy Assessor’s satisfaction, they will input the data into the software and run the commercial EPC calculation. They must also prepare the Recommendations Report. For complicated buildings, or where little or no information has been provided by the person responsible for procure the commercial EPC, the whole process can be very time consuming. It is important to remember that the Commercial Energy Assessor owes a duty of care to all parties, not just the person or company that has instructed them, to ensure that the commercial EPC is accurate. Commercial Energy Assessors may face criminal proceedings for producing a commercial EPC fraudulently and anybody who believe that a commercial EPC may be wrong can apply to the Commercial Energy Assessor’s accreditation body to have the matter reviewed. Commercial EPC’s are valid for 10 years in normal circumstances or until a newer commercial EPC is prepared. From 1st October 2008 virtually all commercial properties will need to have a commercial EPC following exchange of contracts for a sale or letting. 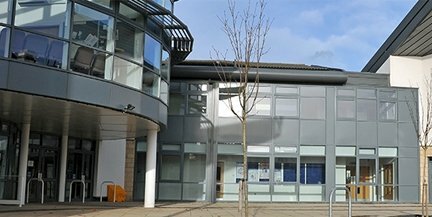 From 4thJanuary 2009 this requirement will be extended so that all such properties will require a commercial EPC when they are placed on the market and available for interested parties to view the premises. A lease assignment is considered to be a letting for these purposes. Responsibility for ensuring that here is a valid commercial EPC for the building or any part that is being offered for sale or to let rests with the owner or lessor respectively even if they have appointed an agent to act on their behalf. Commercial EPC’s are also required when buildings are constructed. He party carrying out the construction is required to obtain the commercial EPC and Recommendations Report in this case and must inform Building Control when this has been done. 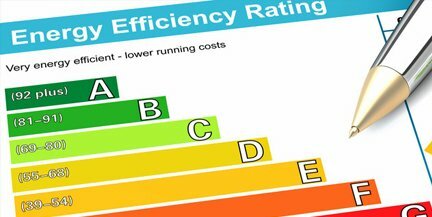 The cost of preparing a commercial EPC will depend on the amount of time that the Commercial Energy Assessor needs to take to inspect the property, obtain the information required for the SBEM calculation and to consider the contents of the Recommendations Report. This will vary depending on the size and complexity of the building and the services in it. The market will determine the costs of a commercial EPC, but most Commercial Energy Assessors will determine their costs based on the time that all the work involved in expected to take. The Government’s regulations state that the commercial EPC must be made available to prospective buyers or tenants free of charge , but in some cases (usually where a building has a single heating system) landlords may be able to obtain a single commercial EPC for a building that is split into several parts and recover the costs involved from the tenants of the various parts via the service charge. This will depend on the wording of the various leases. Local authorities (usually their Trading Standards Officer) are responsible for enforcing the requirement to have a commercial EPC on sale or letting of a building. Failure to make a commercial EPC available when required means that you will be liable for a civil penalty charge notice. If the Trading Standards Officer receives a complaint they may request you to provide them with a copy of the commercial EPC and Recommendations Report within seven days. They can make such a request at any time up to six months after the last day for compliance with when the duty was to make it available. The penalty for failing to make a commercial EPC available to any prospective buyer or tenant is fixed , in most cases, at 12.5% of the rateable value of the building, with a default penalty of £750 where the formula cannot be applied. The range of penalties under this formula are set with a minimum of £500 and capped at a maximum of £5,000. You have a defence against a penalty charge notice if you made a proper request for a commercial EPC to an appropriate person at least 14 days before it was required and despite all reasonable efforts you have not received a valid commercial EPC at the relevant time, or where you rent to a tenant in an emergency requiring his urgent relocation. Additionally, if you fail to provide a commercial EPC there is a danger that any sale or letting may be delayed. Display Energy Certificates are also required from 1st October 2008, but these are almost exclusively for public bodies with frequently visited public buildings. Display Energy Certificates record an Operational Rating, which is calculated directly by reference to the energy consumption in the building over the course of a year. Display Energy Certificates are valid for one year and the accompanying Advisory Report (similar to the Recommendations Report with the commercial EPC) is valid for seven years.